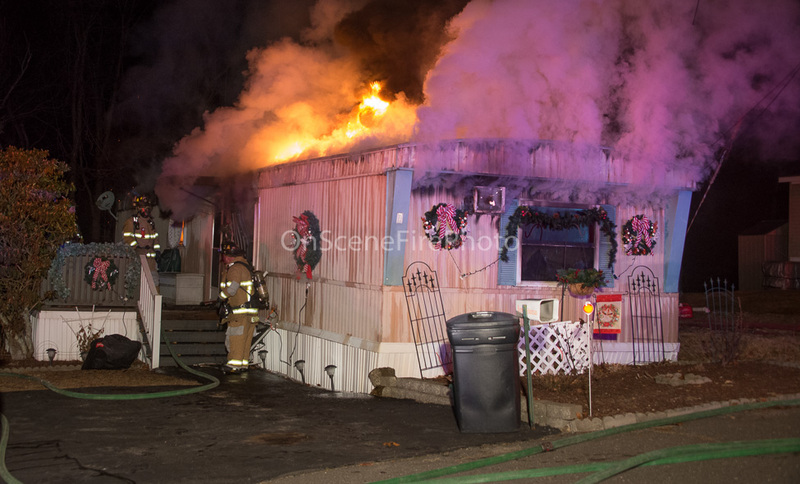 Naugatuck Fire Fighters alog with mutual aid from Middlebury,Oxford, and Beacon Falls resonded to the report of a fully involved mobile home in The Idleview Mobile Home Park of Shadduck Rd. Reports from residents who escaped the fire were that one person was sy\till trapped in the fire. Hampered by heavy fire and watersupply issues the heavy fire consumed the mobile home killing the occupant that was trapped.